Tired of picking up junk off the kid’s bedroom floor? Just chuck it in the trunk! 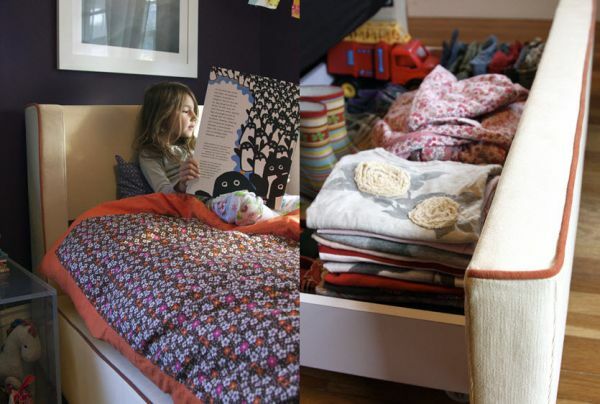 Brand new label, Sobu, have just launched the nifty Junk in the Trunk bed. The first piece from designers Laleh and Alessandro Latini, it is certainly a promising start. 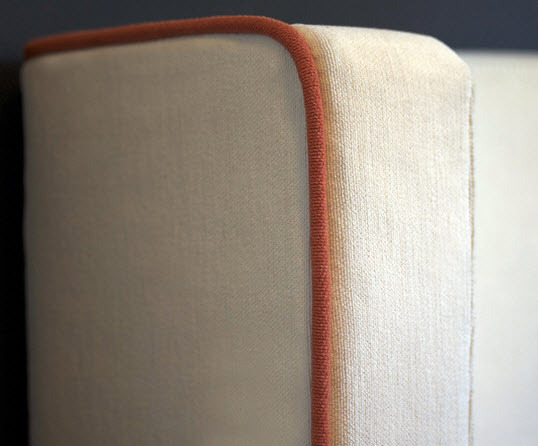 An upholstered headboard and surround in ivory fabric with orange piping is reminiscent of the fifties – think fab dining booths, kitchen chairs or the essential pouffe – the piping detail sets the piece apart and gives it retro cred. Apart from looking good, The Junk in the Trunk bed is extremely practical – the footboard conceals a huge storage drawer perfect for keeping anything from extra blankets, clothes and shoes or simply as the depository for floor clutter. Furniture in the Sobu collection is designed with simple principles in mind – pieces must look good for years to come and should be available at an affordable price. The Junk in the Trunk toddler beds fit the bill at US$650. Unfortunately Sobu do not ship to Australia yet but are hoping to deliver internationally as their collection expands.